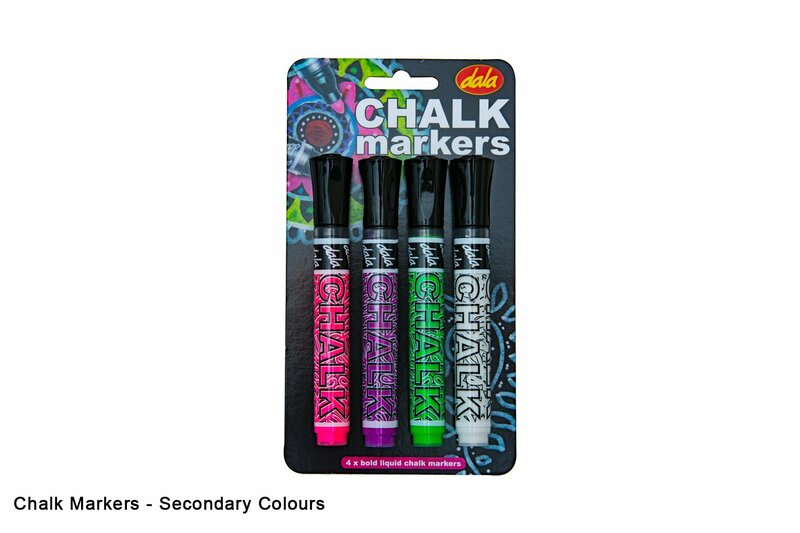 Dala Chalk Markers are filled with liquid chalk with a pump action tip. They offer bright, bold day-glow and neon colours that are especially striking against dark backgrounds. Perfect for home, school and office use. Easy on, and easy off. IDEAL FOR: CANVAS, BOARD, BLACK BOARDS, WHITE BOARDS, GLASS, METAL AND MORE. 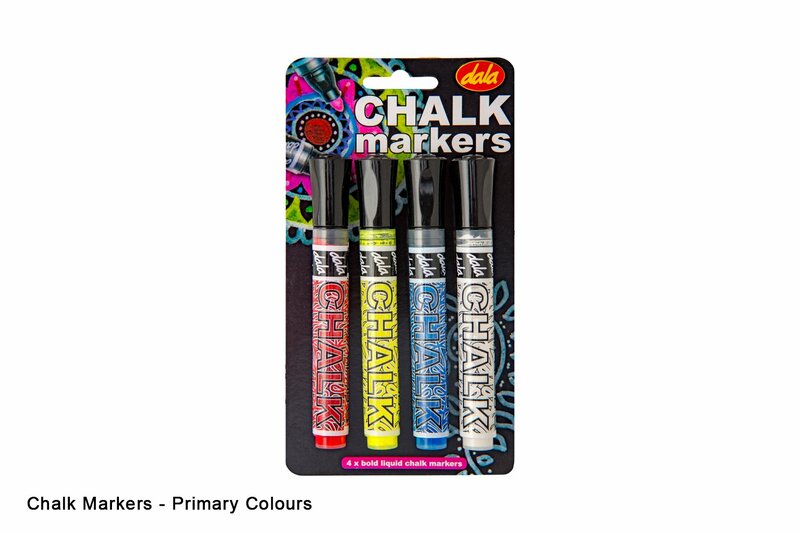 These liquid chalk markers offer brighter, bolder colour compared to standard chalk sticks. Use on dark surfaces for striking results. 1. Shake the chalk markers well before use. 2. Ensure that your surface is clean and dry before applying colour. 3. Pump the marker nib on a spare sheet of paper to initiate the liquid chalk flow. 4. Create your Artwork and allow to dry for 10 -15 minutes. 5. Replace cap after use and store in a cool, dry place. *Clean most surfaces by wiping clean with a dry damp cloth. This item has 4551 views.